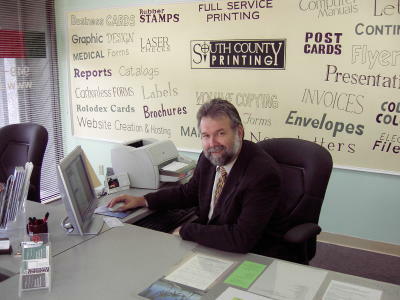 John Giles, Industry Expert and Author of Digital Directions: A Digital Workflow Guide for Customer Files, is shown in the photo to the right briefing the staff of South County Printing in the latest information on digital files. John Giles is also a contributor to many printing magazines and journals in the United States. He lectures to the printing industry throughout the Country.